My husband and I are lucky enough to be raising a 10-year-old who fully intends to run a circus one of these days. He’s already a performer who juggles, performs on the trapeze and aerial silks, takes pratfalls with a local clown company, and keeps up to nine hula hoops going at once, as shown in this photo of him rehearsing for his next show. The problem isn’t that I don’t have the technology or team to get the work done. And it isn’t that I’m slow — I’m not. It’s just that the multi-channel marketing process is more complex than ever. There are so many opportunities, and so many mediums available, and so much that I want to say about the products and services my company offers. One thing is certain: if I didn’t have access to a solid marketing automation platform (the Distribion Distributed Marketing Platform) that takes care of the tracking, reporting, asset management, compliance and list management that goes along with the job, I’d be sunk. I rely on technology to schedule and automate many tasks (like sending email campaigns, creating microsites, letting sales people assemble presentations and proposals from approved content, complying with state and federal regulations, and providing management with the data they use to evaluate performance). Technology also allows me to do many things that I never thought I’d be doing when I first entered this profession — from laying out collateral to publishing web pages. And I’m not 100% convinced that’s always a good thing. Yes, I CAN do those things — but is that the best use of my time? Trouble is, if I don’t do it, chances are it won’t get done because some time in the last 10 years, American businesses seem to have fallen prey to the idea that technology had done away with the need for secretarial, clerical and administrative support professionals. I’s be lying if I said that everything on my to-do list gets done on time — and some of it doesn’t get done at all. But it would get done faster if the team had a smart assistant to help. Unfortunately, that isn’t an acceptable thing to tell management at most SMB’s these days. We’re all supposed to be able to multi-task to the point where I sometimes wonder just how many hula hoops can fit. 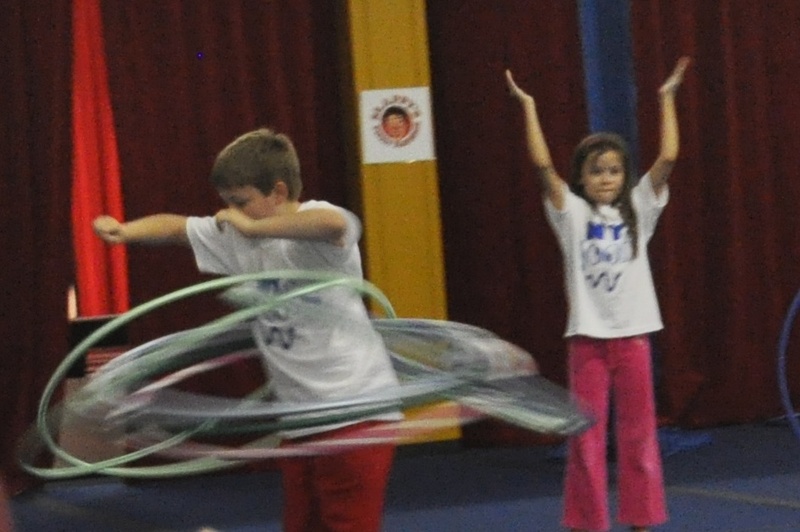 I once watched a Cirque du Soleil performer who works out at the gym where my grandson takes classes keep 18 hula hoops going for nearly 45 minutes. She made it look effortless, barely moving her torso back and forth in a slow rhythm that kept her legs, hips, and shoulders motionless. I was exhausted watching her after the first five minutes. How do you manage to keep all of YOUR marketing hula hoops from falling? Are you part of the “I can do it myself” generation — or do you miss the support of a talented administrative assistant who can take the ball and run with it while you plan the next play? Gallery | This entry was posted in Uncategorized and tagged Deb McAlister, Distribion, distributed marketing, marketing, multi-channel marketing. Bookmark the permalink.